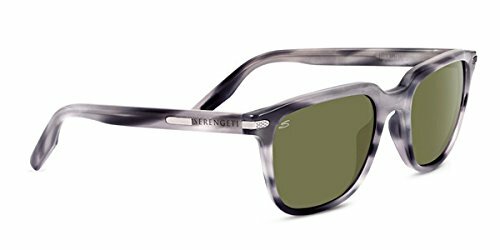 Our Serengeti Handcrafted acetate collection is a perfect alliance of vintage touch and elegance. The brilliance of our color hues, the precious patterns, as well as refined metal embellishments provide the perfect elegance to these timeless sunglasses. The appealing lines of Mattia give a refine flair of vintage to this timeless model.